Bring the Princesses and Princes experience to your home or offsite location! We’ll customize our table decorations and create a personalized party theme for you and your little one! Let us handle all the details while you enjoy the event! With options such as entertainment, custom themes, tables, chairs, table covers, centerpieces, treats, catering, photography, and more, we’ll help you create an unforgettable and magical event that you can be proud of! Balloon arches use 3-4 colors to create a stunning accent to any theme. Balloons are filled with air (not helium). Complex arch designs or arches using oversized or custom balloons are an additional charge. Add some excitement and entertainment to your party! Character and face painting services can be added to any decorating package. Contact us for more information. 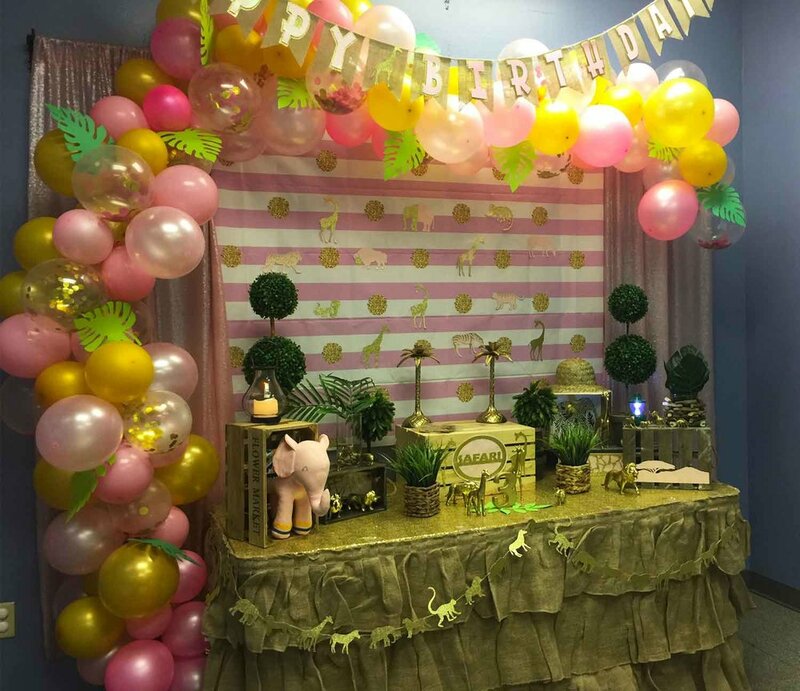 Do you have a vision for your next party or a custom theme that you’d like us to design for you? We’d love to create the party of your dreams! Please contact us and we’ll promptly get in touch with you!